You want to be sure that you are in safe hands and that your Wedding Planner is the person that you can rely on? With the offer “A Barge over the water” you will be sure of my presence on your big day ! That means that you are guaranteed no stress because i am taking care of everything for you, thanks to two things: The schedule of the wedding day and the evening schedule. It’s my role of Wedding Planner to avoid any disasters on your day ! Presence on your BIG DAY. 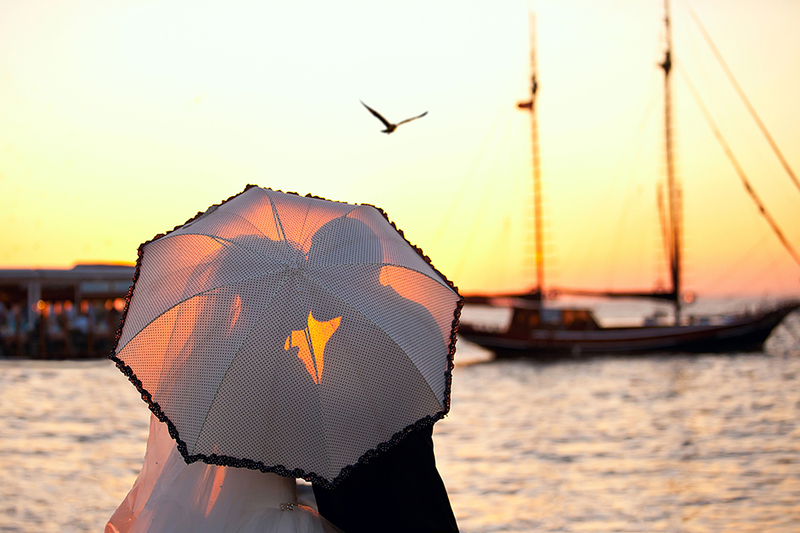 Our presence on your wedding day will allow you to make the best of the special moments. Early in the morning till your first dance, all the team will be here to make sure that all goes smoothly. My presence is to make sure that you, the couple but also your guests will be taken care of and that your day will take place in a calm environment. I do not have set hours because I think that each Wedding is different so our hours must adapt to everyone. You and your guest will remember from this day, only the special moments! From your arrival a few days before until your honey moon, I make the reservation steps easier. If it’s for a luxury hotel or to rent a car, I am here to help you organise your venue with your assistance. Whether you’re in the mood for a Food Truck which can prepare the seasonal dishes, for fast-food/ Finger food or even a buffet, I will make contact with the Services available who can offer us original ideas and I can reserve that Service for you. – A very unique wedding with specific demands? I will make it happens, contact me. *The setting up of the elements of the scenography is carried out either by the selected vendors or by your care. What are the guaranties that come with your Wedding organisation in Aquitaine with presence on the d-day? • I can be contacted any time, if it’s by phone, mail or skype, it’s an unlimited time or availability. • I give to you any of the reductions or special offers offered by the services hired for your Wedding. • My policy is more quality than quantity, I limit myself to ten Weddings per season, to make sure that I make time for your needs and give your wedding 100% at all times. Click HERE and THERE to read our other guaranties that come with my work.